Regardless of age, women want to create firm skin. A toned physique and more youthful appearance soon become top priorities, while years pass and skin goes through a tightening process. Clarins' Firming range includes a number of products specifically designed to firm and tone skin. Whatever your body and health concerns, whether great or tiny, from eradicating cellulite to smoothing lumps and bumps, reducing water retention and minimising stretch marks, you really should consider using Clarins products such as this natural firming treatment, who has some of the best tips and formula. You will also find products that have been created with more targeted areas in mind, such as the décolleté, or more targeted moments of the day, such as morning and night. 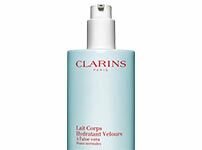 As well as being a highly effective firming treatment that can provide weeks of firmer skin - despite those lines caused by the years - Clarins also has comfort in mind. Treat your senses and body to Tonic Bath and Shower Concentrate or Bust Beauty Extra-Lift Gel.